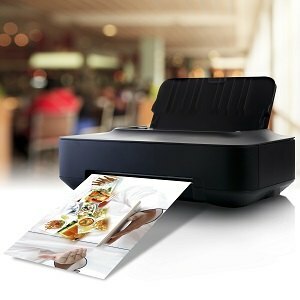 The spread of digital cameras has created demand for affordable, high quality photo printers, and the market is increasingly ready to deliver. Printer manufacturers have stepped up with several advances that make it possible for amateur photographers to print professional quality pictures without spending a fortune. This capability is important for a variety of small businesses including advertising agencies, insurance claims adjusters and real estate agents. The UK market is awash with specialized printers for photos capable of producing professional-quality images at surprisingly low cost. Most photo printers use inkjet technology to achieve the highest possible resolution, and many models allow the user to digitally enhance or correct photos before printing. Multifunction devices even allow you to scan printed photos and touch them up with digital editing software. This is a great way to preserve old pictures that are in the process of deteriorating. All the major printer manufacturers now offer such models including Brother, Canon, Dell, Epson, Fuji, Kodak, and Hewlett Packard.